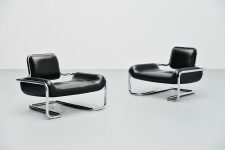 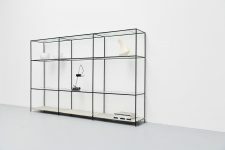 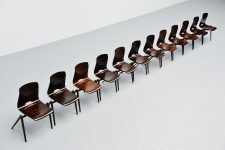 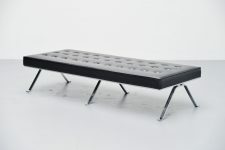 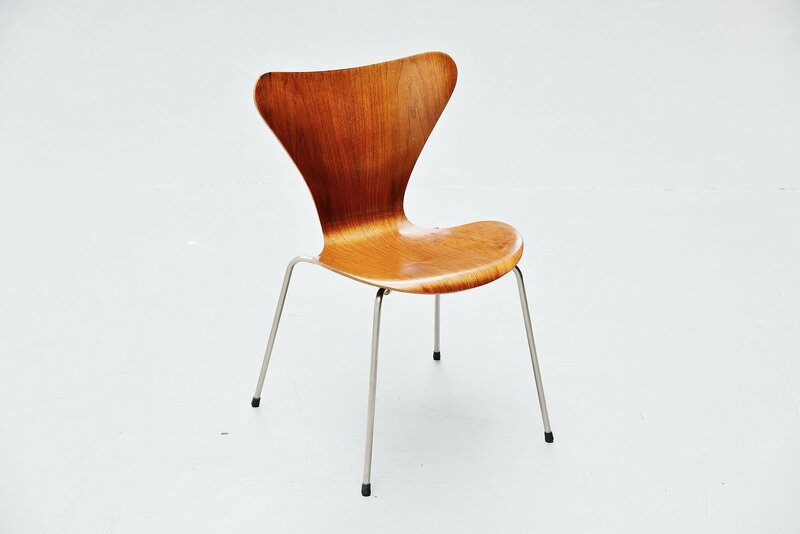 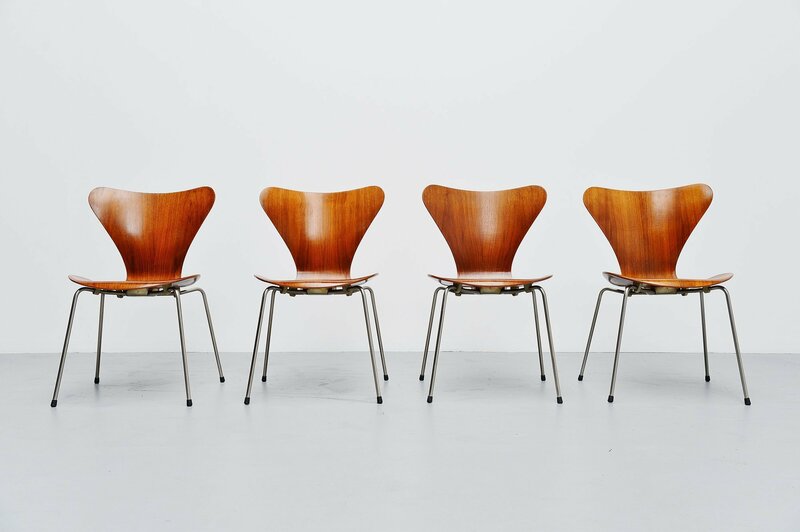 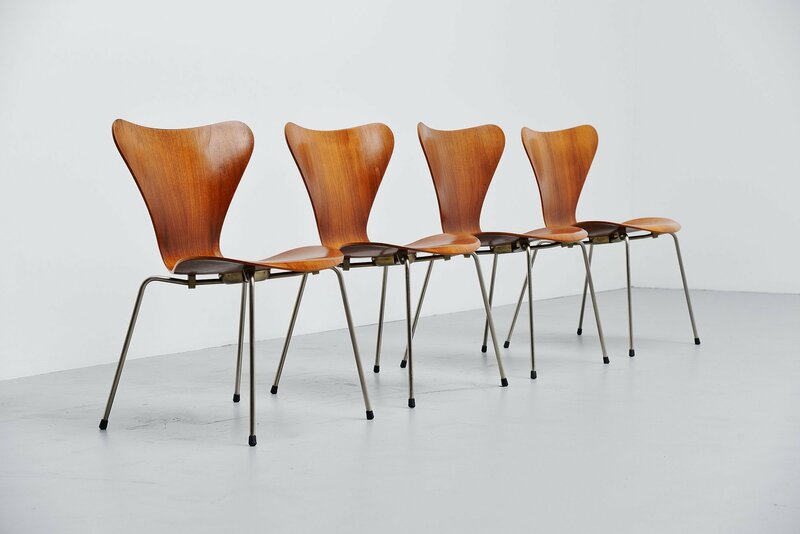 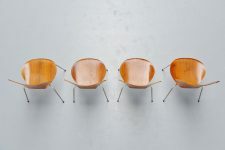 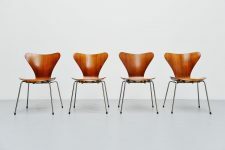 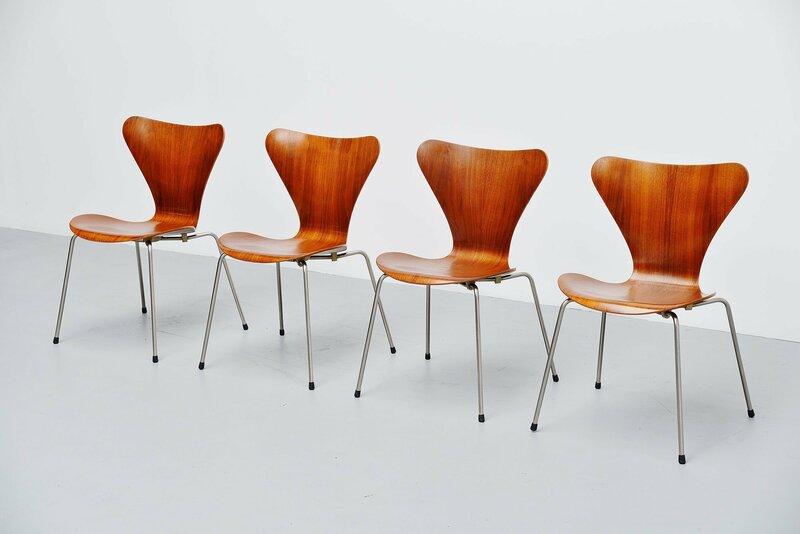 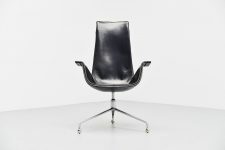 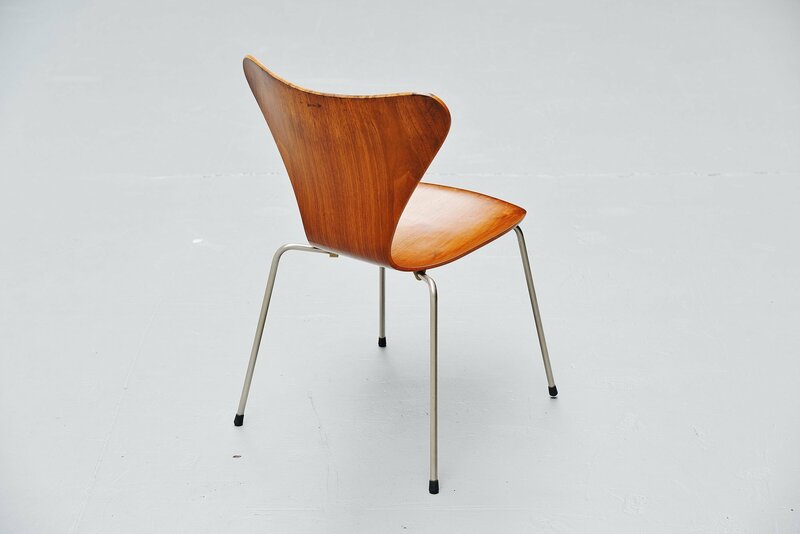 Iconic set of 4 so called butterfly chairs model 3107 from the 7 series designed by Arne Jacobsen and manufactured by Fritz Hansen, Denmark 1955. 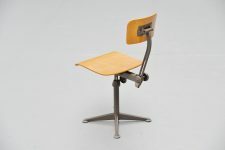 This is for a set of 4 early chairs from the first production in the 1950s in very nice teak plywood and nickel plated frames. 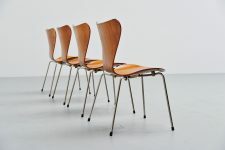 The chairs are in very good original condition and these chairs are still beying produced because these seat absolutely amazing. 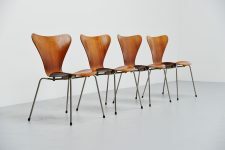 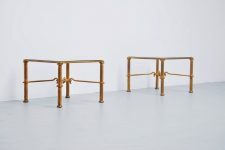 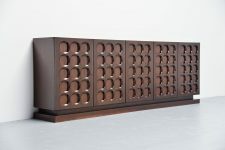 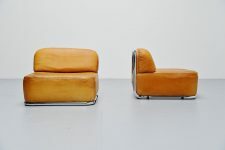 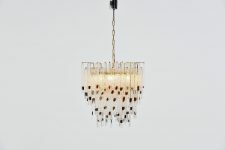 These chairs look ofcourse much nicer than new examples as these have an amazing patina from age and usage. 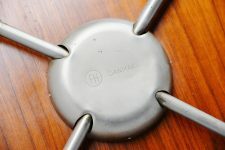 The chairs are all impressed at the bottom with the FH (Fritz Hansen) Denmark stamp, late they had plastic caps and stickers. 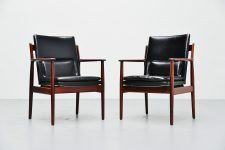 Very nice iconic set of chairs in amazing original condition.